The new star of gadget market born and all set to début Tomorrow, I am talking about the the successor of OnePlus One as OnePlus 2. OnePlus 2 featuring Qualcomm Snapdragon 810, 5.5”-Inch 2k display, 16-MP Camera, fingerprint scanner will launch on 27th July. 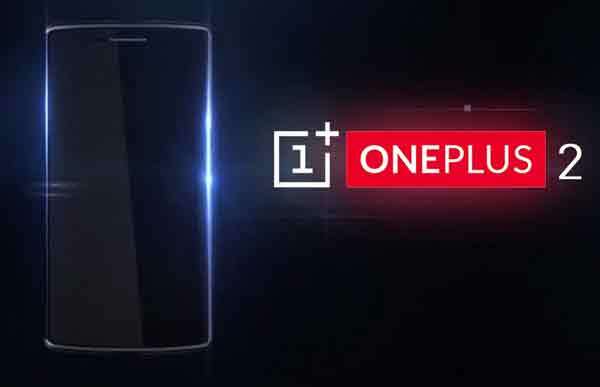 OnePlus CEO confirmed that OnePlus 2 will be priced approx. 2499 Yuan(Approx. Rs 25,000 in India). According to Chines website, upcoming OnePlus 2 supports Single Micro-SIM, finger Print Scanner comes with a bigger 5.5-inch(2560 x 1440 pixels) 2k display and Corning gorilla glass 4 will run on Cyanogen OS based on Android 5.0 Lollipop OS powered by a fastest 64-Bit Octa-core, 1.7GHz, Qualcomm Snapdragon 810 processor with 4GB RAM, 32GB/64GB /128GB ROM. OnePlus 2 will sport a 16-MP Rear camera with 4K UHD video recording and 5-MP front camera for video calling and selifi powered by a powerful 33,00mAh battery measures 152.9 x 75.9 x 8.9 mm weight 166gm will offer connectivity through 4G LTE, Wi-Fi 802.11 a/b/g/n/ac, Bluetooth 4.0, and NFC. How ever no confirmation specifications from OnePlus. While it’s predecessor OnePlus One is available online through Amazon from Tuesday, 24th Feb. priced at Rs 18,999 for 16GB in Silk White while the OnePlus One 64GB launched in India on 2nd Dec. 2014 priced at Rs 21,999 for the 64GB version in Sandstone Black colour. At last few honest word, OnePlus 2 is coming to rule the mid-range smartphone market. What you think? Please stay tuned for more updates.